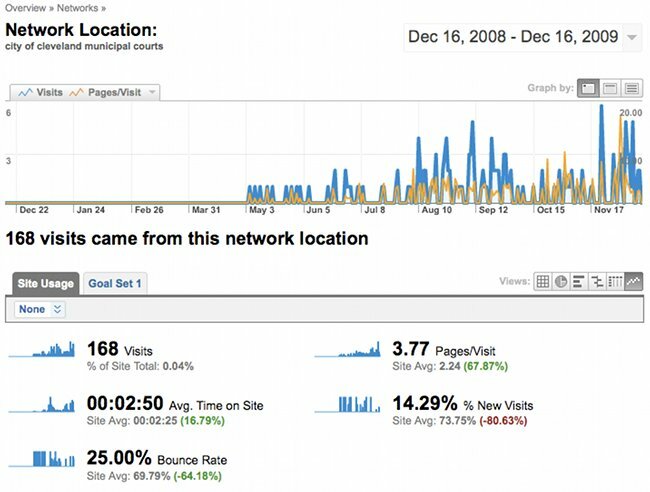 Submitted by Norm Roulet on Sat, 12/12/2009 - 07:00. REALNEO/COOP members, we own this... we accomplished this... in just our fifth year of operations. Congratulations! REAL COOP is globally unique, significant, valuable, and innovative with information technology, and that has attracted a large audience and membership, that is expanding. REALNEO, our cooperative-member-owned-and-operated social network, content management environment, and virtual community, is comprehensively-unique, mature-yet-youthful, rapidly expanding, dynamic, healthy, and positioned to grow greatly in global scale, technological sophistication and societal benefit, forever hereafter. Having grown significantly, in 2009 (and each year prior, since 2004), by every imaginable measure, REALNEO/COOP moves forward in important ongoing and new dimensions, in 2010... including maturing beyond five-years-old, entering our second year as a legal "cooperative", and rapidly growing our content beyond this 10,000th node posted by a member. Other ways we shall grow and innovate are not yet visible, on the surface, and will be truly revolutionary - 2010 will be THE year, for REAL COOP, and REALNEO. As such, REALNEO/COOP must be positioned to grow and succeed beyond our current capabilities and vision. We must develop our organization, bylaws, procedures, board, and operating systems, and refine and implement an advanced technology strategy. There are funding sources available to support our growth in 2010, but we must prepare documentation about REALNEO/COOP to position us to be funded, for funding infusion, and to succeed when better funded. The first step of this process is to measure and analyze the past, current and projected impact and value of REALNEO/COOP, from all perspectives. 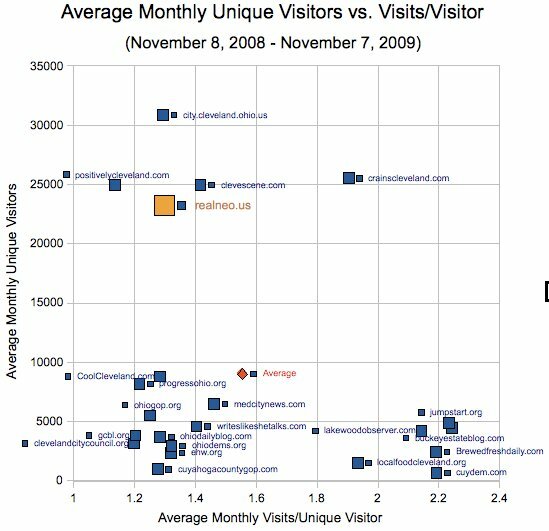 I've conducted such analyses for over a decade, and am preparing a comprehensive benchmarking study of REALNEO for our use in proving our value to our members, the community-at-large, and funding sources. Included in this Executive Summary are several illustrations of analyses included in this study, which will be explained in detail in focused analyses within this annual report. 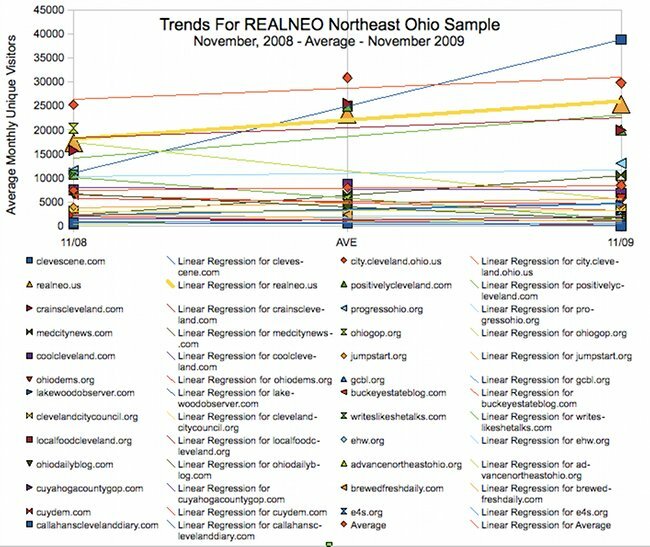 It is easy to demonstrate that, by all technical performance metrics like visitors, visits, and page views, REALNEO grew significantly, in 2009, and is firmly positioned in Northeast Ohio and the world. We are a Glocalization success story. 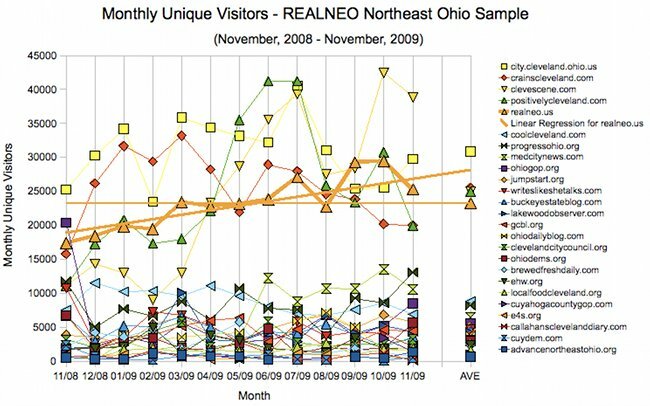 Highly localized, yet globally significant, REALNEO has activity of the scope of Northeast Ohio's specialty regional newspapers, the regional visitors and tourism portal, and the website for the City of Cleveland, and REALNEO will grow beyond them all, in 2010. 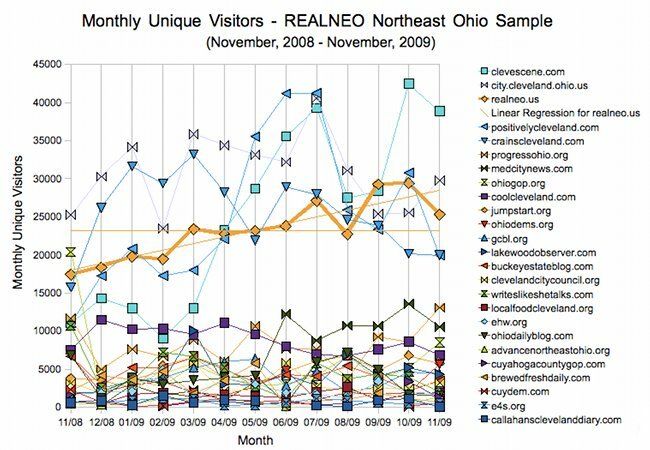 How much so shall be illustrated in this "2010 REAL COOP Annual Report and REALNEO Five-Year Report, at 10,000 Nodes", organized as pages in this book on REALNEO, to include analyses of site and community performance, member satisfaction, organizational practices and social and economic outcomes. 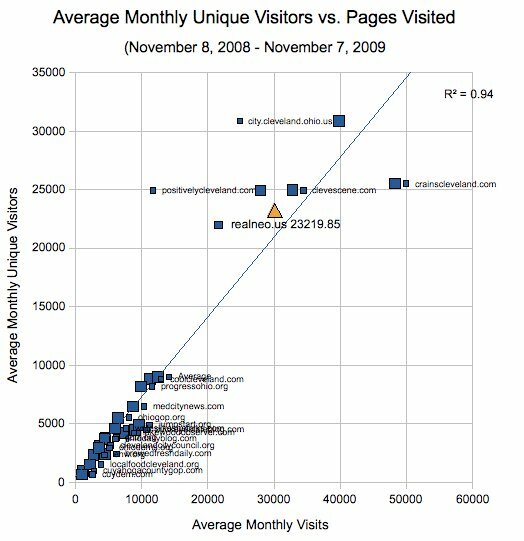 As a REALNEO and REAL COOP founder, active member, and information technology consultant, I will provide comprehensive comparative analyses of REALNEO "Information Community Effectiveness" for a wide array of factors, to be included as virtual book pages in this report. Other active REAL COOP Members are encouraged to add reports covering any areas of responsibility they may address. I recommend we execute all this in preparation for a late January 2010 REAL COOP Annual Meeting, when we may review past coop performance and future plans, elect officers, and position the cooperative for 2010 and beyond. All REALNEO.COOP members are encouraged to help with this Annual Report and planning - post your thoughts or please contact me directly.